…your thoughtfulness towards, care of, and consideration for the company was just outstanding. ...it was wonderful to work with people who understood what it is to be a singer. ...it was an honor to be in Chelsea Opera's inaugural production of "Suor Angelica". Lee and Lynne assembled a talented cast of women and provided all of us with a fabulous performance opportunity. Grazie mille! Many congratulations on a wonderful success in Cavalleria. What you have going on with Chelsea Opera cannot be equaled in this city. You are all a great team to work with and this is why the cast had such an inspiration and good energy that everyone could see on the stage! Everyone had a great time, felt like we were treated with respect and consideration. None of our time was wasted, and many people commented on how well organized everything was. It was truly a pleasure. Thanks so much for a wonderful experience with the opera. I have gotten amazing feedback from everyone I know who came to see it, and am proud to have been a part of it. Congratulations on assembling a dynamic and lovely group of people and putting on an opera with heartfelt beauty!!! I am so glad to have been part of this experience; it allowed me to make a lot of progress in many aspects of performing in a short amount of time. My manager said it was the best local production by small company that she's seen in 25 years she thought the it was both we sung a very visually pleasing. My teacher said he's seen Cavalleria 1000 times but was quite moved by the Saturday show unlike ever before. Congratulations on pulling off a spectacular production of a very difficult jewel of the verismo repertoire with such panache, and such care for your singing actors. I had tears in my eyes at the curtain, (mixed with a little envy), and thoroughly enjoyed seeing the beginning of what promises to be the best addition to the Operatic scene in NYC in a very long time. We wanted to thank all of YOU for making this such a wonderful experience. Nick came home on Friday glowing, loving it once again, and saying how happy he was to have worked with [Chelsea Opera]. You are all to be commended on so many counts: for your noble goals, your hard work, your marvelous end product, and, not least, your ability to deal with all the stresses and remain such decent people. Thanks for everything. Thanks so much to the people who gave him (Nicholas Agar-Johnson) his first professional gig. You guys are the best!! I just wanted to thank you all for the fabulous way you've been with Drew. This has been SUCH a GREAT experience for him. Driving home last night (even though it was late and he was starving), he made a comment I thought you would like..... he said, "If Chelsea Opera does something else they need a kid for, I am DEFINITELY trying out!" So I think you've helped nurture into existence something wonderful and I am tremendously grateful and appreciative. Thank you, thank you, THAAANNNKK You! As always, I was so happy to be part of the experience in putting together this magical show. You all deserve a HUGE round of applause for the hard work behind the scenes and on stage. It’s so difficult to manage all the details that make a show like this a success ‿and make everyone feel welcome and loved, besides! That’s the hallmark of Chelsea Opera!! As you know, this is my first time in an opera company's ensemble and the experience has been wonderful---hard-work, time-consuming, and all. I knew in my early years what singing meant to me, but my family was not supportive. It was not until many years later when practicing law that I began to sing again and the profound sadness of what was missing from my heart began to melt away. I and many of my fellow ensemble members know that all three of you are exceptional and extraordinary in your dedication and commitment to your company. We recognize that you are building up a young company and working with limited resources. And, most importantly, we know you are kind and sensitive human beings who do not take us for granted. Personally, I would love to help you and your company in any way I can. In addition to being a lawyer, there is my profound love for opera. So, please feel free to call upon me. I want you to know that this past three months have been the happiest months I have had in years. You made me discover things in me that I didn't see before. You expected the best of me and that is something I will never forget. It is hard to believe, but before I came to sing for you I was having second thoughts about where my singing was to take me. Thanks to you, I know where my life and my heart lies. All the hardship and all the sacrifices are worth when you have experiences like this one and you meet people like you! I am so pleased to have been a part of this show - working with all of you has been amazing. Everyone is so talented and terrific, and even though I was a "newbie," I felt a part of the group from the very first rehearsal. Chelsea has such a supportive, welcoming atmosphere, and I know each and every person in the production felt that their time and talents were truly valued and appreciated. I just wanted to say thank you for giving Peter the opportunity to play the role of Amahl. It was a wonderful experience for him. I must say I enjoyed it as much as he did! Attending all the rehearsals was a great learning experience for me. It opened my eyes to the amount of time, energy and talent that goes into producing a theatrical event. Along with the tremendous talent, I was impressed by the kindness and friendliness of everyone involved. It came through in the performance, making it that much more moving. The entire cast was so supportive of Peter, I know it made him feel more comfortable and helped his performance. On the way home last night, he said it was fun to perform but that it was actually "funner" back stage hanging out with the cast. That speaks volumes as to how totally he felt "a part" of this group of adults. Maestro, Lynne and Lee, you are all amazingly talented. I marvel at what you accomplished on a shoe string and tight time line. You three and the entire cast deserve fame and fortune!! Again, thank you so much! It is an experience we will never forget! First of all I want to let you know that it was a pleasure working for you again. The dedication, love and effort you put on your productions makes the experience of singing a joy, and that's something you do not get often. And something that I definitely value, treasure and appreciate. This year Amahl was really special and I am glad I was part of it once more. It certainly was magical and I had a great time singing on it. Thanks for being so wonderful. Thanks for being so supportive. 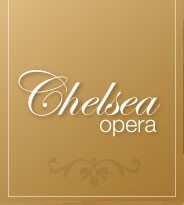 And above all thanks for giving us Chelsea Opera! I saw the entire children’s show and the opening scene of the second show yesterday and had to write to say “BRAVO‿!!!! The singing was powerful (I actually cried during the choruses‿last chords at the end- sniff), the sets amazing (that scrim effect was beyond cool), the lighting effects sparkling, and the orchestra lively and on point. And‿the costumes gleamed and were quite striking. What a treat. So again bravissimo and hope to see you all soon in various ventures! Just wanted to say congratulations on a wonderful production. As I told Lee last night all of it was great, but I had no idea how powerful the chorus was in Chelsea’s productions. My niece and I throughly enjoyed the opera. My experience with the Chelsea Opera company was a very positive one. I was given every opportunity to confer with professional musicians as I worked to prepare my role. I have had many opportunities to work with great names in the opera field like Placido Domingo and found that my time spent working and growing with the Chelsea opera company was as valuable as my time spent at the "Domingo Young Artist Program". As I begin a new and exciting career in the opera world I find that places like Chelsea opera are safe havens for those of us that are learning and growing and need to be encouraged to pursue our dreams with understanding guidance. I recommend anyone who wishes to be a part of a growing company who's outlook is bright and focused, give Chelsea a chance and you will find big hearted professionals that are dedicated to making opera what it was always meant to be. My experience with Chelsea Opera was a great one. Musically a very professional organization I enjoyed working with fine colleagues in my fellow singers, the orchestra and our wonderful conductor. The audience was very enthusiastic and I look forward to working with Chelsea Opera again. I miss our Pagliacci. What a great experience. Every opera we do becomes my favorite. I've realized that the work and passion we put into it every time brings it to life in my heart. Thanks for making it possible. It really was a pleasure working with you all. Not only is this show a wonderful one to be a part of, but this company was truly one of the kindest, most supportive and professional companies I've worked with in a long time. My voice teacher (Ashley Putnam) had very high praise for the quality of the orchestra, Carmine's conducting, the chorus and the way it all came together in the church. She was impressed and the show went far beyond her expectations . Great work on the show! I enjoyed being a part of this production very much. Thank you for inviting me to perform my first Silvio! I felt it was a very special production. My experience performing with Chelsea Opera was a very positive one. They are a very organized outfit that manages to stage and musically prepare operas on a limited budget, but of very high quality. The chamber orchestra is of a very high standard. I am an emerging professional singer and I find the company's commitment to excellence in bringing first-rate opera productions opera to the local community to be applauded and rewarded. I have auditioned for Jeffrey Rink's production of a concert version of Pagliacci to be performed in May 2007 in Boston and got the job! Thanks for preparing me so well with this role! All of the support from everyone last night (not to mention throughout the entire rehearsal period) can not be underestimated, in my opinion. Yours is truly a wonderful group to be a part of. I just wanted to pass on my HEARTY congratulations on the Giovanni I saw last night. It was awesome! Strong cast, expressive phrasing, and the best low-budget staging of the second finale I have ever seen! You've all been on my mind and this note is well over due. But a belated and heartfelt THANK YOU for letting me part of your successful production. Lynne's patience and dramatic freedom, Carmine's incredible energy and knowledge of the score and Lee's never-ending encouragement and appreciation - all vital pieces to making this ambitious project a rewarding and sincere piece of music drama. I wish you all the best for your future seasons and, again, mille grazie for everything. Thank you for such a wonderful experience. Thank you for finding such a wonderful cast of talented and lovely (young!) people. Thank you for loving music and opera. Thank you for taking care of everything. Thank you for treating us so respectfully and allowing us to have our "moments" and not getting angry (or at least not showing it). Thank you for putting up with me and my stuff and thank you again. Thank you!... of course i'm enjoying myself. I think the production is going to be excellent, and I'm very happy to be part of that. staff held exceptionally high expectations and displayed diligance towards that end throughout the entire run. There was never a time Carmine wouldn't ask for something better of himself or others, all the while doing so in a positive and encouraging manner. I am very happy to have been a part of production that was brimming with talent and dedication. I had a great time you guys, thanks for everything. My friend, who is a classical pianist and die hard opera fan, commented that he wasn't expecting such professionalism and was astounded at the amazing voices in the production. I really love working with the company as I think you both know! I cannot wait to see you all again and start working on this project! I am very excited to be doing the make-up for this show. I'm always glad to help in any way I can. I really just love working with you all so much!!!!! I had a great time and thoroughly enjoyed the production. Most everyone was very fun and easy to work with and very friendly and helpful. I loved working with Carmine. He is a wonderful conductor. It is so refreshing to find a conductor who is actually concerned about the singers and what tempi will work best for them and trying to achieve a good balance with the orchestra and singers. It was a treat. I hope to see you both again soon. Thanks for a great production...I am still blown away by the level and power of the singing and all that both of you do, just as I was when I sat in the audience for Cavalleria a few years ago! Seeing how hard you (Lee) and Lynne work and with how much heart is very inspiring. And I know how much every dollar can help realize the vision that you two share. Chelsea Opera is a special organization and I am so grateful to have been welcomed to the production of Giovanni. I want success for Chelsea Opera, for you (Lee) and Lynne and Carmine, bigger and always better! You allowed me to make my long-awaited NYC debut, treated me like a king, were professional, collegial and affable the entire time, and even welcomed me and my entire family. What's not to like? You even taught me the subway system! As I ruminate on the experience, the most tangible benefit I received (aside from doing a role I love) were the contacts I made. Truly wonderful people, from top to bottom -- and that cemented the impressions I took away from my very first exposure, back in 2005, when I auditioned: these were people to make good music with. It's good to know instincts can be relied upon! Professional, passionate, punctual.  These are the three P's that best describe the atmosphere and the people from Chelsea Opera Company. In my personal case, the gratitude goes beyond the engagement itself: this was my debut in costume on the stage and my first public perfromance in NY. A big challenge that could have been impossible to climb if I hadn't had the honor to work with experienced and supportive people like conductor Aufiero and the two factotum co-founders Hayden-Findlay and Priore. I've learned so much thanks to them. I only hope this is the beginning of a long artistic collaboration.